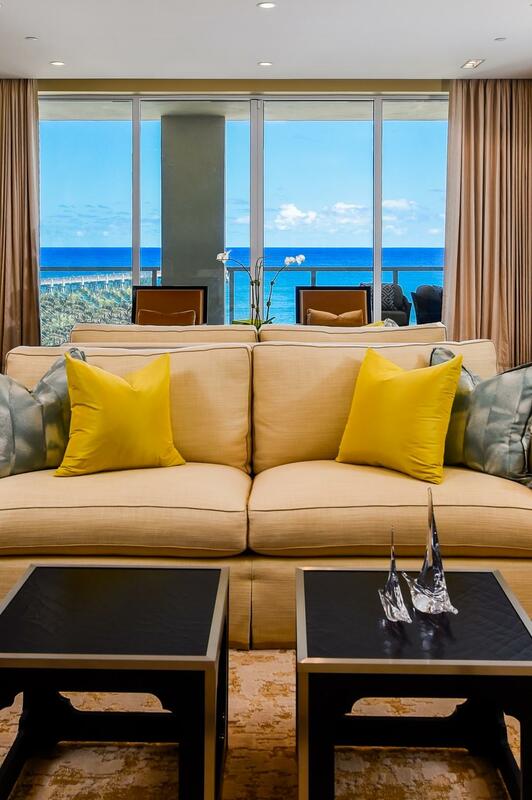 Brand new contemporary oceanfront unit with over 7000 sq. ft. living space. Commanding ocean views from this gorgeous 5BR/6.2BA condominium with large ocean facing terraces. Rare double unit with library, media room, gourmet kitchen, and 6 parking spaces. Full service building includes pool, spas, exercise room, and full time manager.